This site was developed collaboratively by the most recent Division-Based Advising Coordinators (Robert Brinkerhoff, Peter Dean, Ken Horii, and Susan Ward) and Academic Affairs. It’s designed as an at-a-glance resource to reach RISD undergraduate and graduate students to help keep them on track with important advising milestones, and to remind students about the importance of working with their adviser(s). 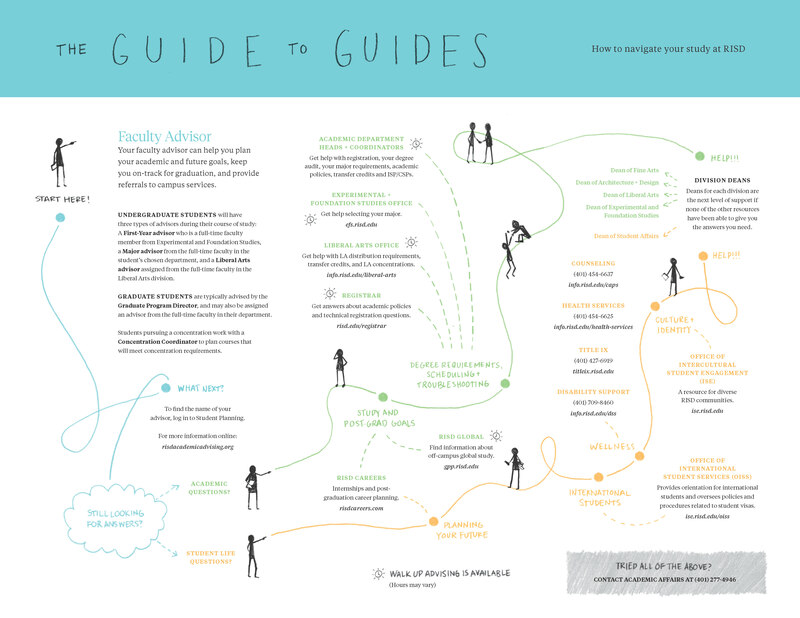 It also serves as a good resource for faculty advisers.